The Leshgold family and Jon Stovell, Reliance Properties president were on hand for the opening of the inaugural exhibition in the Libby Leshgold Gallery October 20. The Pacific brings together 13 diverse artists from countries in and around the Pacific Ocean. The Pacific continues to January 14, 2018. From left:Jon Stovell, Robert Leshgold, Sherry Forbes, Cate Rimmer (curator), Harry Leshgold, Susan Goldstein and Larry Goldstein. Part of The Big Reveal, 88 Artists from 88 Years was the inaugural exhibition in the Michael O’Brian Exhibition Commons. The exhibition includes works by alumni spanning the years 1929 to 2017. The show continues to Friday, November 17. The exhibition was organized by alumni Jonathan Middleton and Cate Rimmer, and student Chelsea Yuill, with Susanna Browne and Kathy Slade. 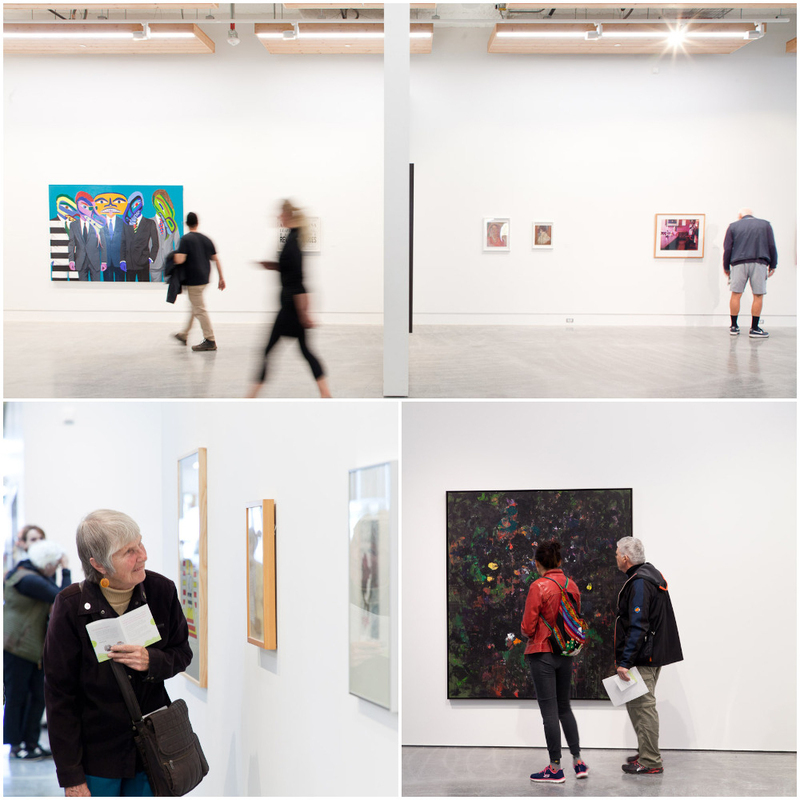 The Big Reveal saw 4,000+ visitors to Emily Carr's new campus. Guests received a behind-the-scenes look at our major disciplines: media, design and visual arts, and our spectacular new facilities designed to inspire students' creativity. Thank you to everyone who helped make our opening celebrations such a success! 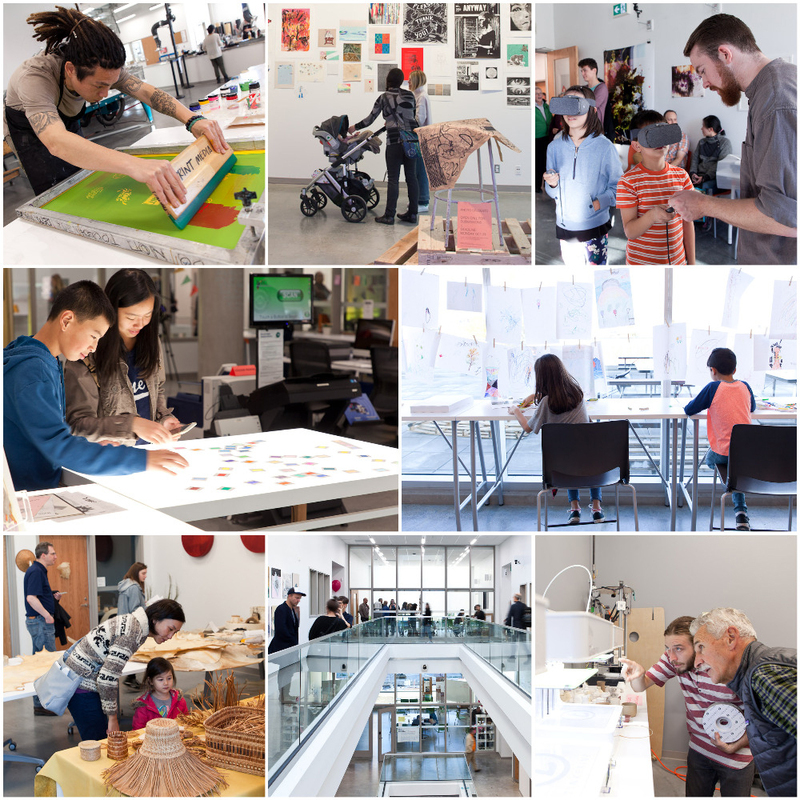 Emily Carr University of Art + Design is embarking upon an exciting new project to mark the University’s relocation to its new Great Northern Way Campus. We are commissioning a Totem Pole – and you can help. You can donate through the Advancement Office by calling 604 630 4562 or through Canada Helps online at the link below. We will keep you updated as the project progresses. 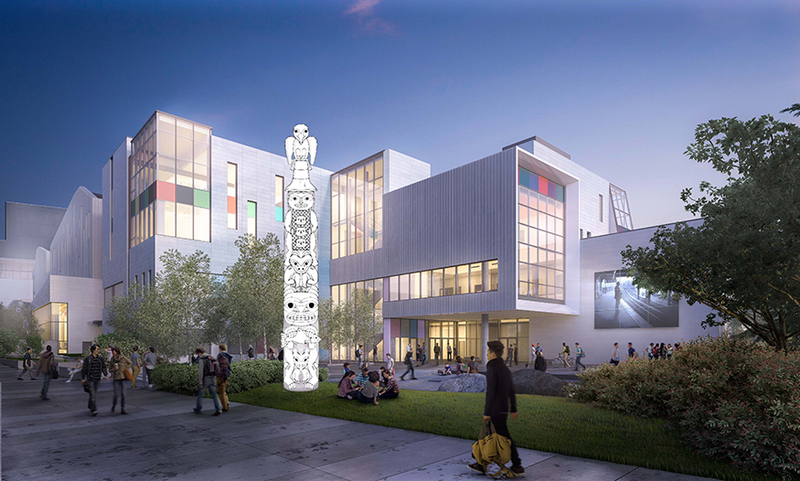 Learn more about the Totem Pole Project. You can now donate your Aeroplan Miles!